H4 Work Authorization, Work Permit or H4 EAD and H4 Visa Issues: New H1B Amendment memo from USCIS ease the requirements to file amendments. 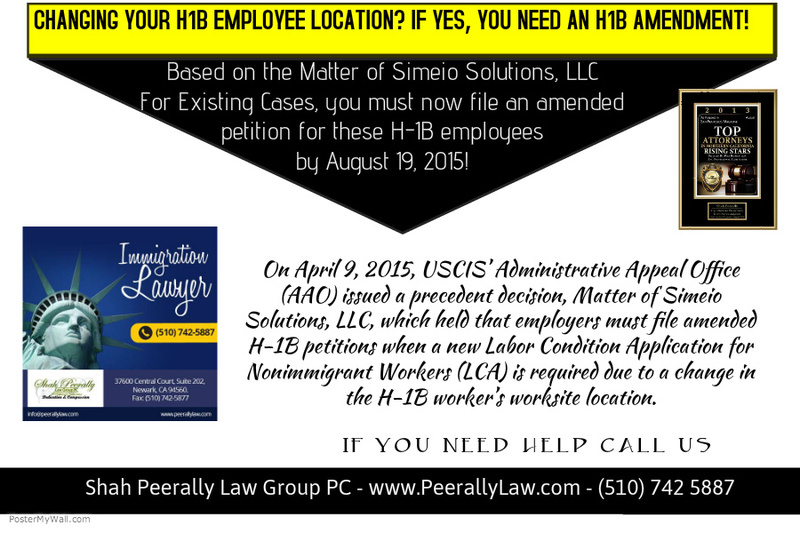 New H1B Amendment memo from USCIS ease the requirements to file amendments. "How To guide" on Immigration. Great Testimonial on the H4 EAD! More H4 EAD approvals coming! The H1B and H4 visas Application Difficulties.